Nothing beats the experience of a live event. It’s the unique selling point of theatre, though easy to forget. 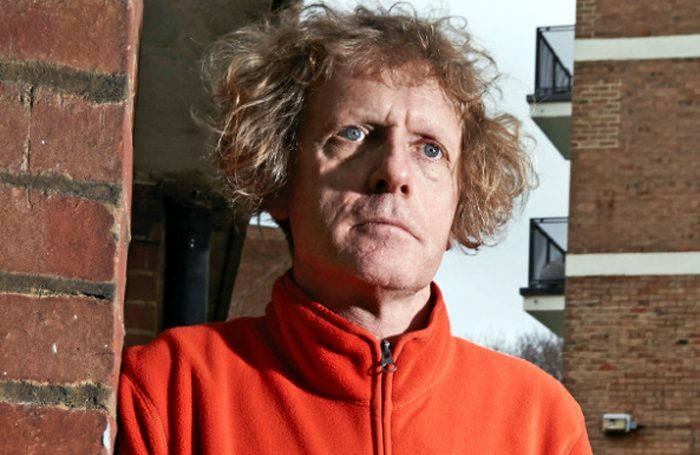 Last week I was so caught up in conversation with Grayson Perry, who is adding live events to his busy artistic schedule, that I was amazed that two hours had whizzed past. How often does that happen in life? More to the point, everyone around me in the large Picturehouse Central cinema, off Piccadilly, seemed to be equally glued to their seats. Most likely we could have happily stayed there for longer. And I heard no rustling sweet papers, crunching of crisps, or the clashing of cans. The smell of other people’s food was absent. There were no coughs. Only one mobile phone briefly rang out. Very few people had travelled up from the ground-floor bars clutching drinks, though these were not discouraged. One did not need to get the slightest bit tipsy to enjoy the evening. Of course, Perry might seem to follow an established showbusiness tradition of men dressing up as women: he wore a dazzling, bespoke dress, embellished with a long scarf, huge orange shoes, and glued-on sparkles under his eyes. He is also a natural wit. But the point of the event, chaired by Channel 4’s creative director, was to explore how Perry had emerged from a terrifying childhood in Essex, ruled by a grim-sounding stepfather, to the acclaimed artist and increasingly successful television documentary maker he has become over the past decade. He made a good point: he was about 40 when success as a potter came knocking, and he was mature enough to grasp it. Perry’s TV career started with his first authored programme, Why Men Wear Frocks, in 2006, after he won the Turner Prize in 2003. For all Perry’s apparent flamboyance and talent as a stand-up comedian, he is increasingly recognised – and winning prizes – for his ability to interact in everyday clothes with people. He explores themes such as masculinity and the class system as represented by our taste, while using his artistic sensibilities to draw out his interviewees including tough nuts such as Chris Huhne. At a time when ITV is having real problems at 10pm with The Nightly Show, a confection that lacks conviction, Perry’s programmes reveal the key to success on the small screen. You have to be yourself, neither nervous or self-conscious, and be brave. It is these qualities that the sofa critics of runaway success Gogglebox demonstrate most weeks. Perry is currently making a programme on Brexit, accompanied by the customary art work: two huge vases, one expressing the Remain side, another Leave. The clue that they will be very similar is that when asked to pick their favourite item, both sides chose a teapot. It will be interesting to see the Goggleboxers picking over it. And have you noticed that this programme deviates from real life: they don’t eat TV suppers in front of the cameras.